When You Put the Name Mercy on the Front of Your Building It’s Nice to Know CD & Power and Gillette Generators Have Your Back. Often in our experience customers become friends and our transactions with them become stories. This is a recent story with a happy ending for all the parties involved. Since 1872 the Mercy Retirement and Care Center of Oakland California has offered a comprehensive array of services enriching the lives of seniors in the Alameda County community. Over a year ago, the care center and their HVAC contractor, Matrix HG, determined that their generator could no longer provide the necessary power to back up service to their facilities. As the planning progressed, the Mercy team recognized that they needed a higher level of attention than what they were getting from the generator sales and service company they engaged initially. Joe Cabral, of Matrix HG, knew exactly who could step in to help. Joe gave us a call because he had worked with us before. 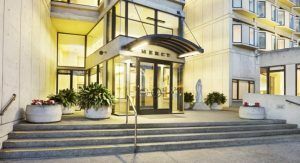 We collaborated with Joe on a previous project, so he knew our team and knew he could rely on us to create the right solution for The Mercy Center. “When 24/7 hands-on care to over 150 seniors is your main mission, the last thing you want to worry about is what happens when the lights go out,” explained Tamra Marie Schmutzler, Executive Director at Mercy. 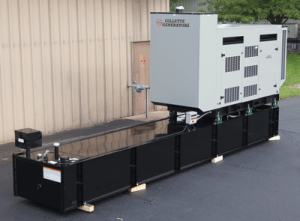 After conducting a comprehensive review of Mercy’s expanded requirements, and upon an evaluation of the current generator market, we recommended a 210 KW standby generator manufactured by Gillette Generators of Elkhart, Indiana. Since then, we have taken delivery of the generator, verified the features we specified, and are planning the installation. Once on site, we will confirm the system is running in compliance with the exacting rules that regulate generator operations. We will put the new generator in place at the Mercy facility later in 2016. Don’t mark it on your calendar. There will be no band, no banners, no ribbon-cutting… nor will there be any long speeches. It’s not unlike football. But rather than making headlines as the quarterback we see ourselves as the hulking left tackle, backing up his blind side. No glory there but without us the QB’s stats will pile up fumbles and picks rather than touchdowns. When the day arrives a reliable crew from CD & Power will roll in, go to work on the installation, spend a few days checking and re-checking it, test the functionality and ensure the system conforms to all regulatory standards.